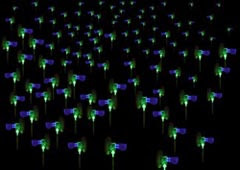 Jason Bruges is a visionary artist who uses light to illustrate alternative energy sources. 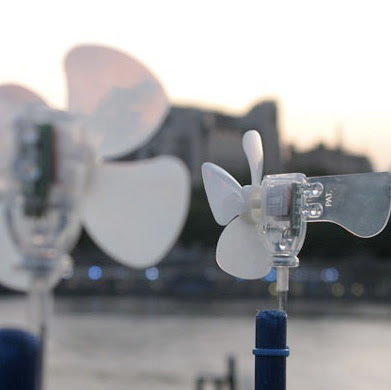 His mini wind turbines power LED lights that move as the wind moves through them. 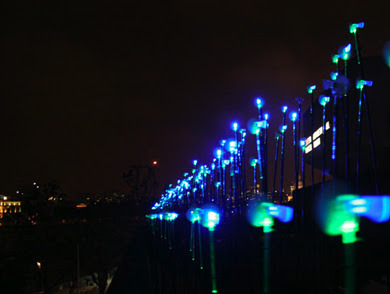 The result is is a visual spectacle of light and color. 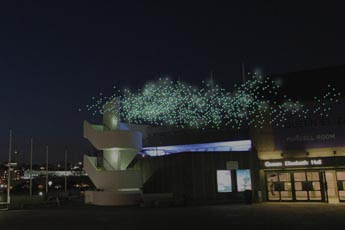 In one installation Bruges creates a "light cloud" using the technology, the result is utterly magical.